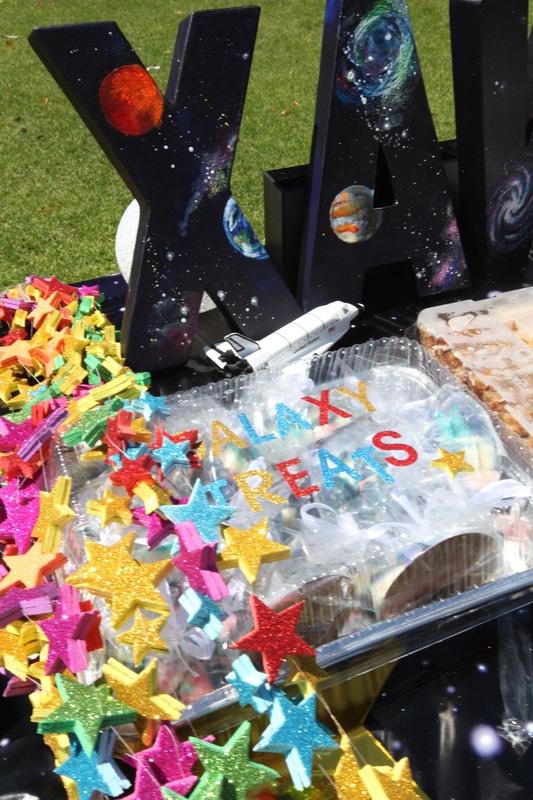 For this birthday party, space was a great theme to work with for my NASA-obsessed little one! 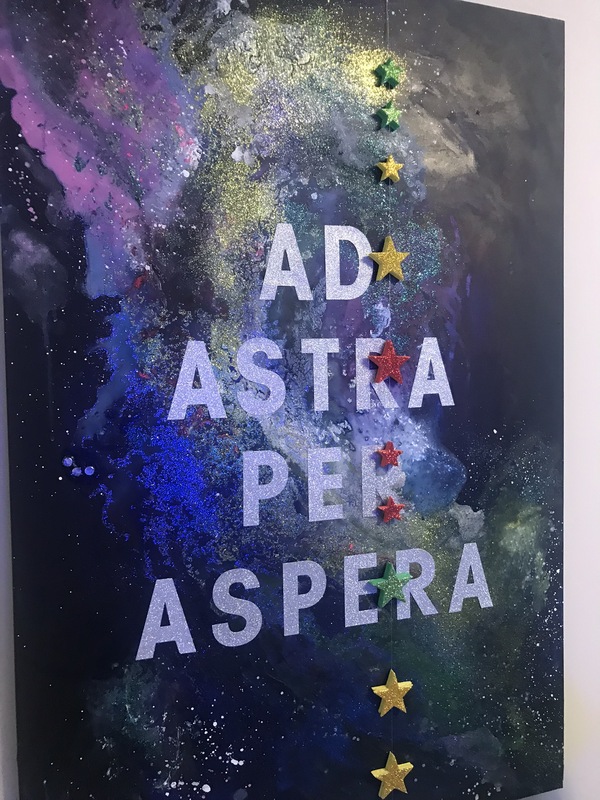 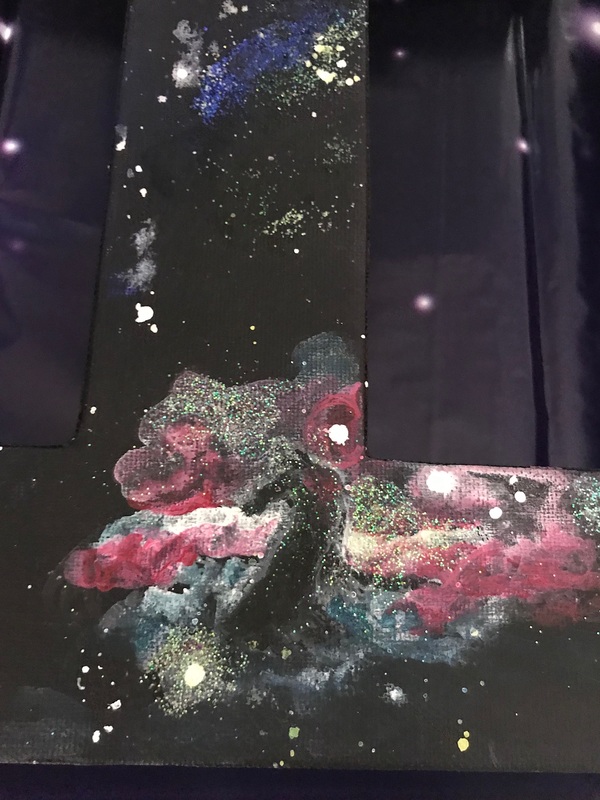 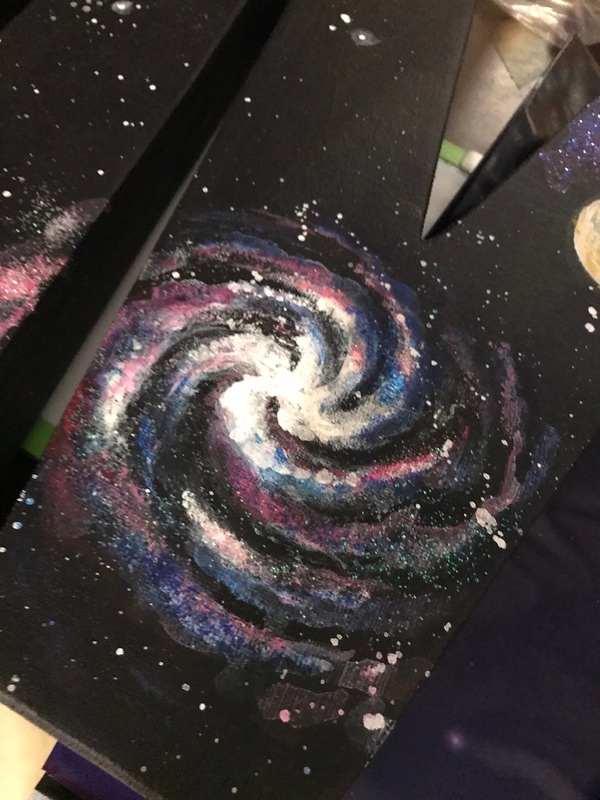 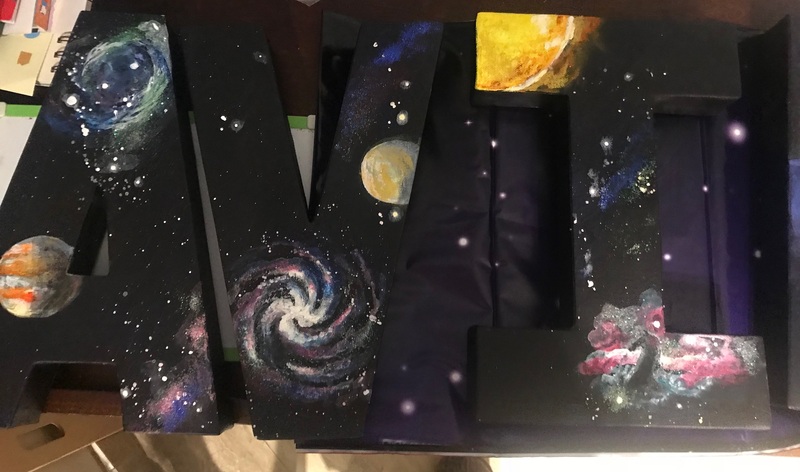 I had fun painting some letter-shaped canvases and large canvas with galaxy-related imagery, and made garlands with fun sparkly foam stickers. 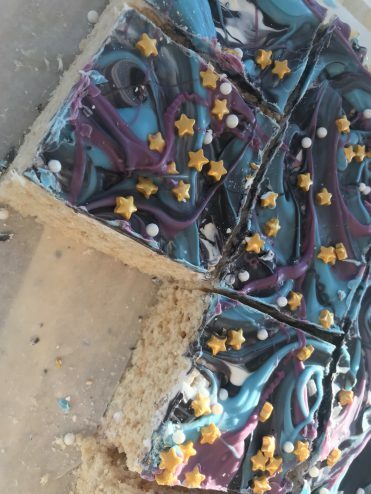 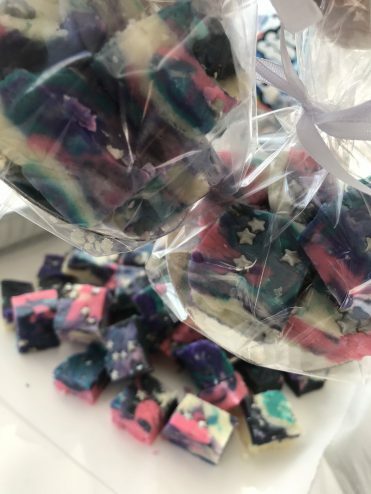 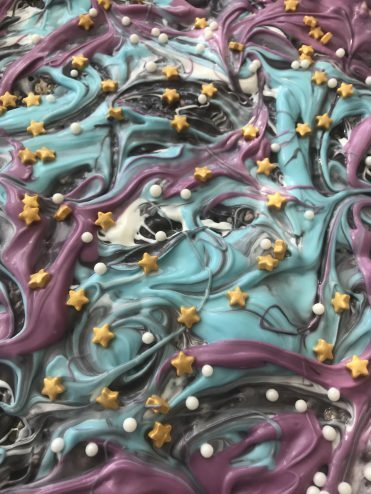 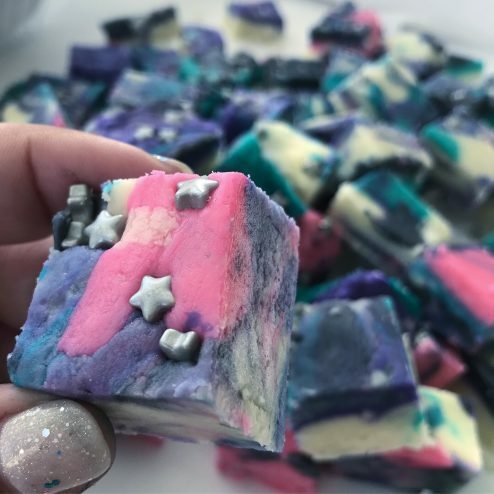 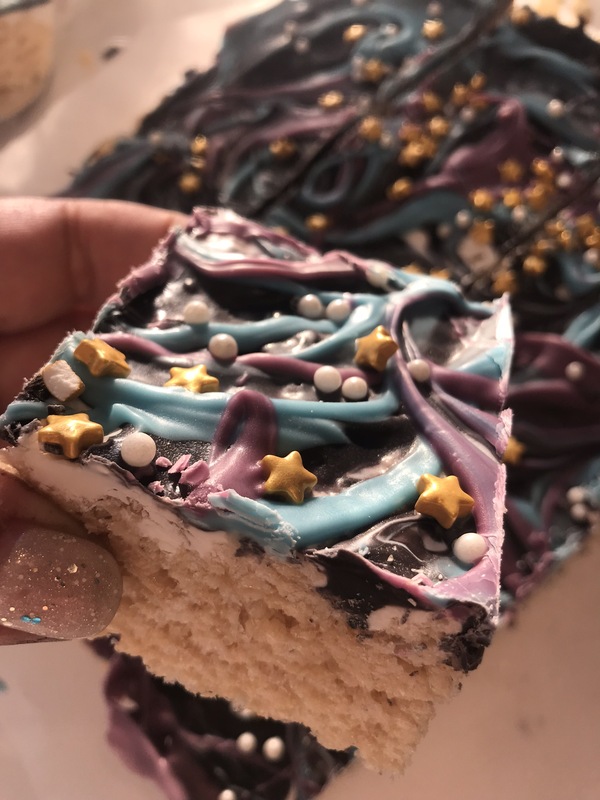 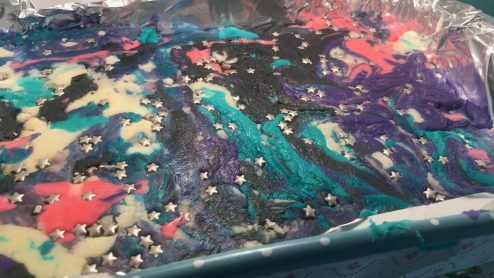 For treats, I made trays of multicoloured fudge, and rice krispie squares with swirly coloured chocolate sprinkled with edible stars. 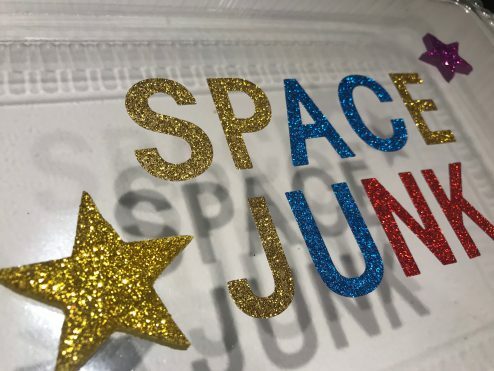 As it was a barbecue at the park, we played space-related games outdoors such as an obstacle course with planets to orbit, black holes to avoid, astronaut helmets to fit, and robot dancing! 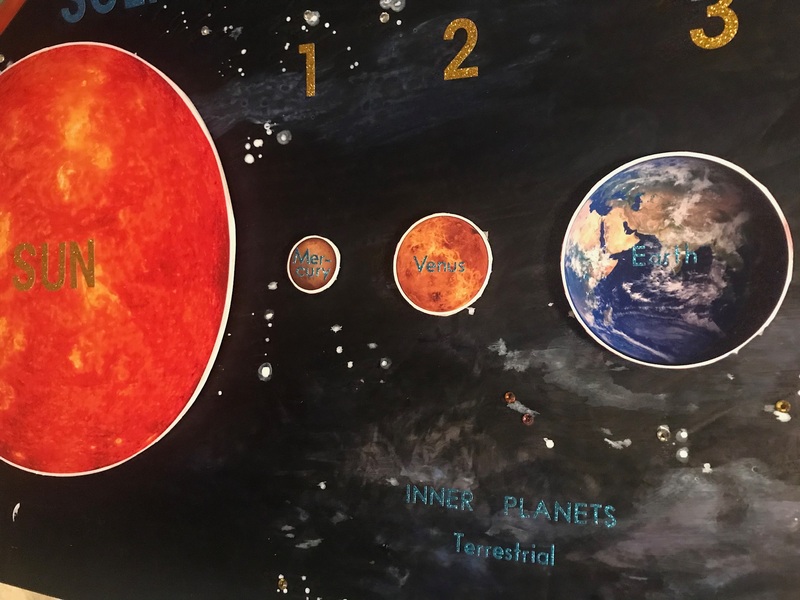 We played ‘pass the asteroid’ (a lumpy parcel with a Star Wars toy within each layer of wrapping) and I made a large board with a ‘solar system challenge’, velcro planets to rearrange into the right order radiating out from the sun.